This Cricket Season World Cup Cricket 2019 And IPL 2019 Cricket on the Rocks. 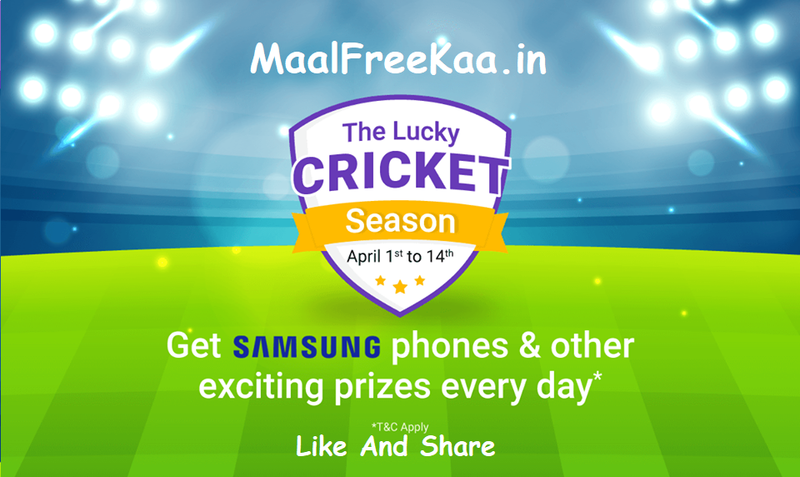 Pay By Any Your Favorite Website or Merchante and Get Chance to win Free Samsung Phone worth Rs 8000 and Others 125 Winners Win Free Cash Back Gift Prizes. Tis a season of wins! Pay with PhonePe at any of your favorite online stores and get exciting prizes every day One lucky winner gets a Samsung Phone worth Rs.8000 and 125 lucky winners get Rs.500 worth voucher every day.